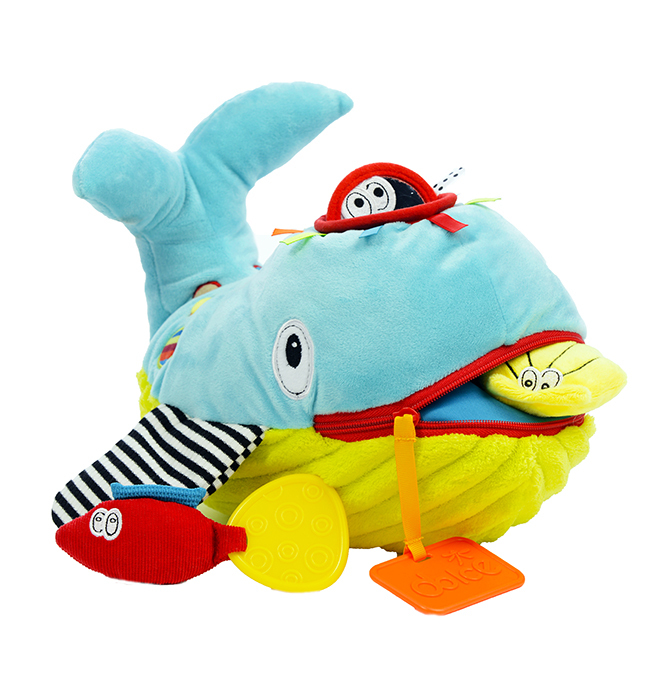 This large whale has a Blow hole and a zipper mouth that can be opened to retrieve the little toy fish, baby octopus or clam. 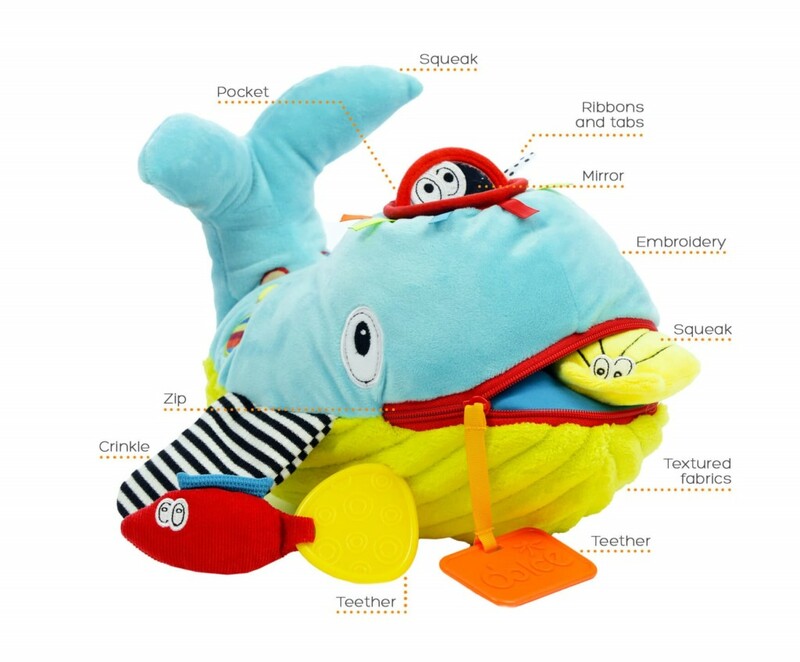 The cute whale also has crinkle fins, and squeakers. 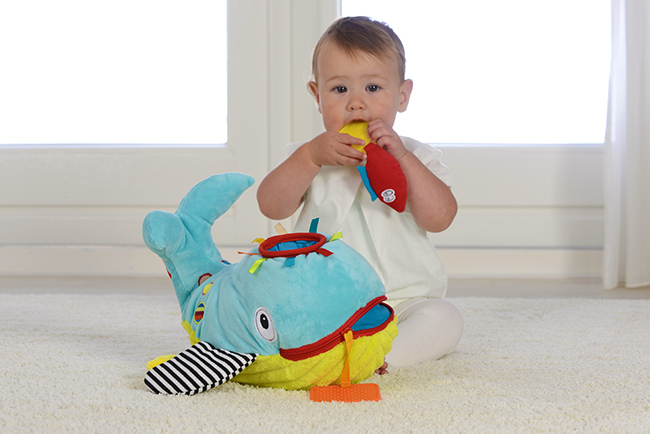 The baby octopus is a mirror, the clam has a squeaker and the fish tail is a teether. 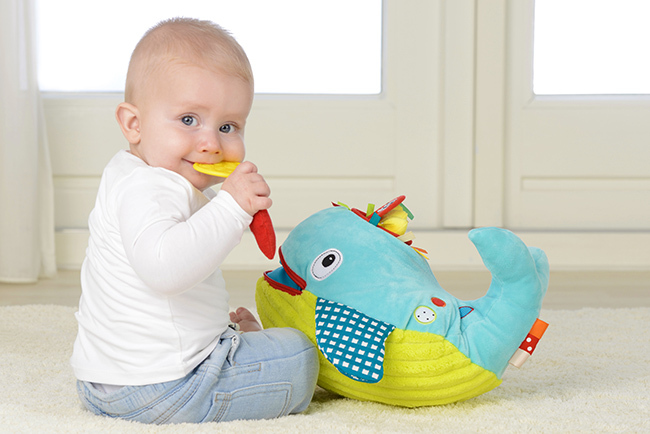 • Sounds: Children will delight in creating sounds through using the squeaker. • Discovery: Opening and closing the mouth to reveal small toys will have children very interested. 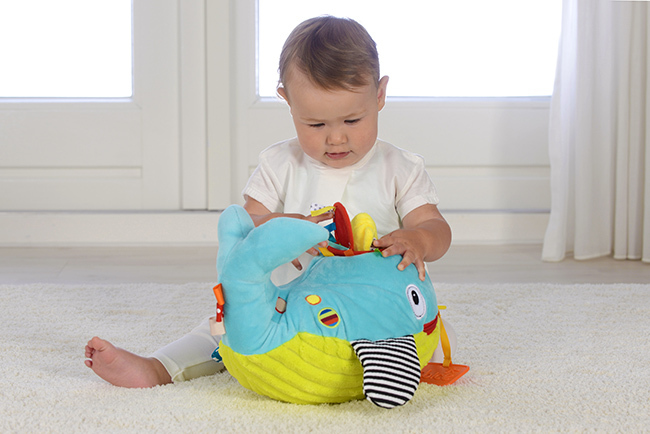 • Touch: The different textures, crinkle fins, mini friends and squeaky tail are extremely satisfying for children to play with. 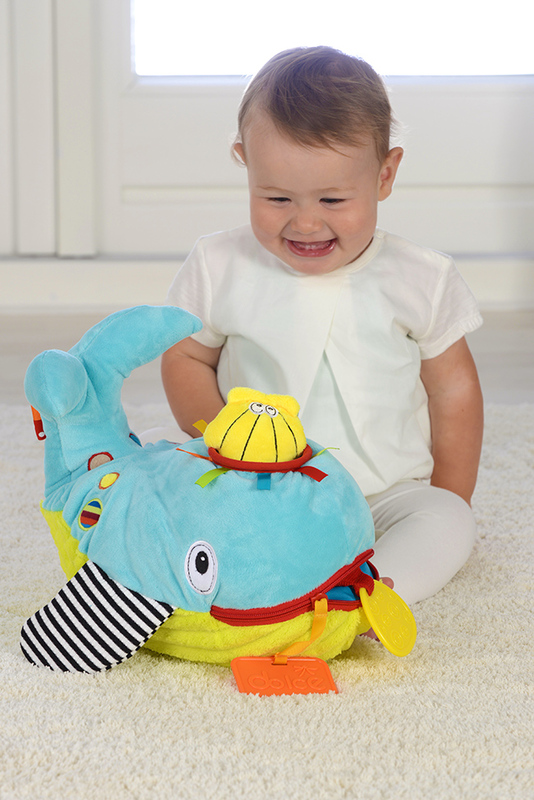 • Helps to connect motor skills with auditory learning by squeaking, crinkle, posting and retrieving. 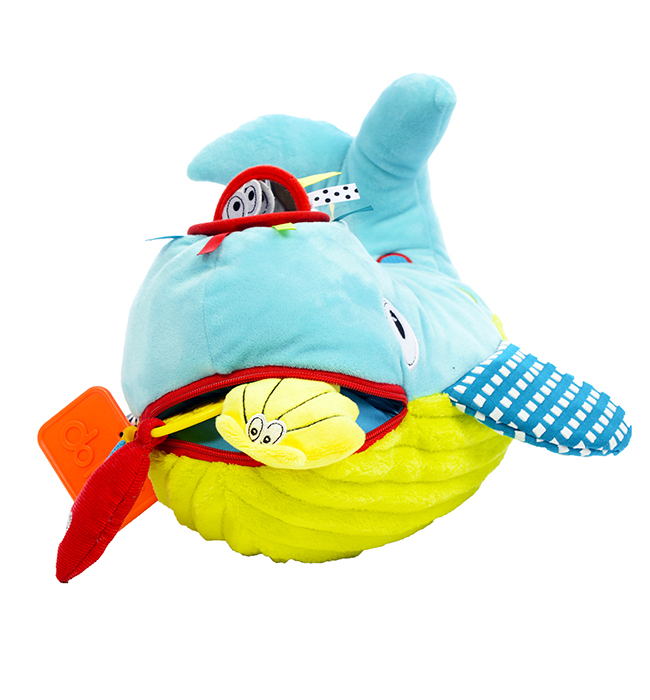 • The smaller toys that can be posted into the blow hole and removed by opening and closing the zipper on the mouth develop hand eye coordination.